Our Exposition columns offer informed, compelling takes on issues around the movies, from opinions about the topics driving films today to reconsiderations of the movies of yesteryear. Early Avengers comics didn’t include the so-called “Avengers Creed,” a prologue that found its way into the Marvel series some time in the ’70s, when it would frequently appear alongside the book’s masthead, spelling out in easy order what to expect of the superhero team. 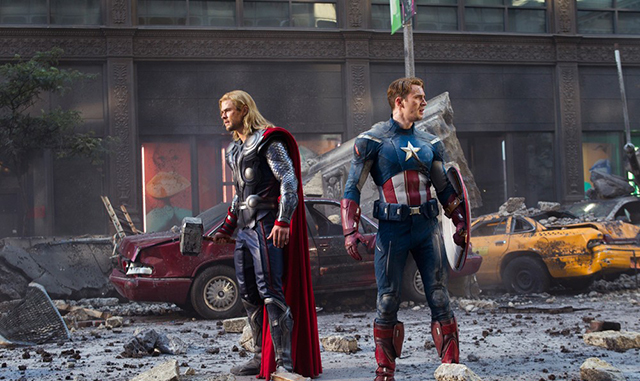 Although the Avengers’ ranks have morphed over the years, the Marvel Cinematic Universe has kept their aims and abilities mostly consistent over the course of 11 films and nearly $3 billion in domestic revenue, with one important addition to the Creed: a desire to preserve human life, no matter what the cost. The newest MCU feature, Avengers: Age Of Ultron, continues in that tradition, with the entire team battling the eponymous Ultron, who is bent on eradicating the Earth’s entire human population in order right the perceived wrongs they’ve inflicted on the world. Ultron, the creation of Tony Stark, was initially conceived of as a peacekeeping force to keep threats away from the planet—no more Battle Of New York here—but his prodigious artificial intelligence and linear logic lead him to conclude that the real threat to the world is human life. The Avengers soon find themselves battling a widespread baddie who is uniquely capable of pulling off a classic comic-book threat: offing the entire world. The team fights to save Earth—quite heroically—while reaffirming that their greatest mission is to preserve human life. The Avengers’ desire to keep human beings safe informs their every decision and, even though the film is also about the eventual cracking of the original team, it’s easily the most important thematic choice director Joss Whedon makes. It certainly looks a fair bit different than the burgeoning DC cinematic universe—the DCCU?—which stumbled straight out the gate thanks to Man Of Steel. Zack Snyder’s 2013 film did little to remind viewers that Superman cares about them first (just like The Avengers), instead turning the story into a personal vengeance outing that left tons of innocent blood on Supes’ hands. Did Marvel notice? You bet they did. Look no further than Age Of Ultron, which never lets anyone forget what its heroes are fighting for, and how that looks so different from Man Of Steel. The Avengers want to save you. The DC heroes would like you to get out of the way. Marvel may currently reign supreme at the box office—with 11 films in the can and another 11 planned for a rollout that will stretch at least until 2019—but DC isn’t running from the fight. Marvel’s biggest rival has already begun assembling its own team of superheroes and matching blockbusters-to-be, recently laying out its plan to craft a superhero universe that, as of now, includes a planned 10 films, with release dates soldiering on into 2020. 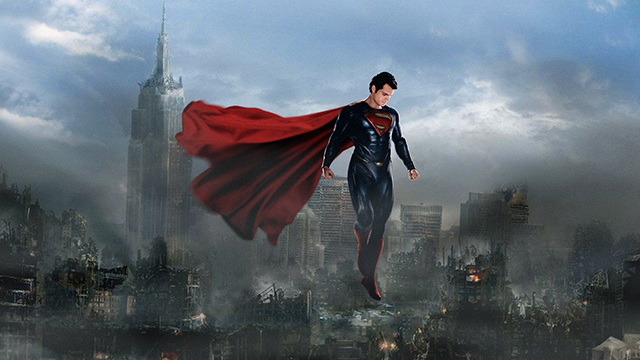 Although DC had huge success with its Dark Knight trilogy, 2013’s Man Of Steel effectively serves as the first film in the company’s brand-new expanded universe. And, if Man Of Steel is the kickoff feature, it says a lot about what we can expect to see from the rest of the franchise. And things look pretty dark. The words “dark” and “gritty” are frequently tossed around when it comes to superhero films, and while Marvel has consistently embraced humor and lightness throughout even its heaviest films (Age Of Ultron is punctuated by plenty of jokes and amusing scenes, despite being about an extinction-level event and the break-up of the world’s foremost superhero team), DC appears to be going whole hog on the dark and gritty thing, no matter what the price may be. The price has already been too high. Man Of Steel notably (and controversially) ends with the near-complete destruction of Metropolis, the kind of ruination that all but assures a hefty number of human casualties and plays up director Zack Snyder’s seeming obsession with making everything look terribly gray and filthy. Worse still, Superman (Henry Cavill) kills Zod (Michael Shannon) with a well-timed neck-snap once he realizes that his greatest foe will never stop waging battle against Supes or the planet at large, a brutal (and literal) twist that nearly takes off the villain’s head. It was awful. The fan fallout from this particular narrative choice was swift and immediate. This wasn’t the act of Superman, a superhero built on his sincere desire for truth, justice, and the American way, a savior dedicated to doing the right thing. It was something decidedly un-heroic. Superman suddenly wasn’t a savior, he was a killer. Although most criticisms of Superman’s shocking crime centered on the obvious disconnect between what unfolded in Snyder’s film and the beloved character’s long history of fairness and respect for life, there’s yet another issue at play: that Superman would engage in a large-scale battle that would directly injure so many innocent human beings. It wasn’t just a jaw-dropping moment in a frankly gut-wrenching battle, it was a major decision that proved antithetical to not only everything that Superman stands for individually, but everything that superheroes as a whole are meant to represent. It’s already been hinted that Superman will have to deal with the consequences of his actions in his next film, Batman V Superman: Dawn Of Justice—presumably the repercussions of an entire population being angry that a self-appointed superhero leveled one of their most important urban centers because of his desire to avenge his own family, planet, whatever. The Avengers did similar damage at the end of The Avengers, thanks to their own massive battle with intergalactic evil, one that took place smack in the middle of New York City. But while Superman will most likely have to contend with an unhappy human populace for his next outing, the Avengers were already racking up fan adoration before the first film even ended. Sure, New York looked pretty messy, but a snappy series of on-air interviews indicated that the overwhelming human sentiment was one of gratitude, and the team celebrated their hard-won battle with schwarma and some in-jokes. The so-called Battle Of New York still informs the action of the MCU, and is often referenced in The Agents Of S.H.I.E.L.D., Captain America: The Winter Soldier, and even Netflix’s Daredevil. The MCU now exists in a post-Battle Of New York world, and no one—especially the Avengers—has any interest in ignoring that, as evidenced in Age Of Ultron. Two individual Avengers—Tony Stark’s Iron Man (Robert Downey Jr.) and Bruce Banner’s Hulk (Mark Ruffalo)—spend great chunks of the movie wrestling with their deeply personal feelings on hurting people. Once Scarlet Witch (Elizabeth Olsen) hits the scene, she uses her powers to hypnotize the Avengers into dark states of consciousness that plunge them into the worst nightmares. Tony’s worst nightmare is the dismantling of the Avengers, complete with dead and dying team members. His nightmare looks like something pulled out of a DC film, and the great sense of loss and pain that permeates the fear informs his every action in the movie. As ever, Hulk is terrified of hurting innocent people—a fear that’s rooted in stuff he actually cannot control, unlike Man Of Steel, which was less about bioengineered genes and more about personal revenge. When “the other guy” gets the best of him and Hulk stomps through a small city, Bruce can’t handle it. “I can’t be in a fight near civilians,” he later confesses, convinced his attempts to help will only harm still further, a situation he simply cannot abide. Rather than risk hurting people, he removes himself from a major mission, because that is the mission, not only saving people, but not hurting them. The film’s final battle—a massive setpiece that involves the Avengers, including some new members, battling Ultron and his giant robot army as they attempt to turn a city into a floating asteroid capable of smashing the planet to pieces—finds the majority of its tension in the question of what will happen to the human victims trapped on said floating city. Of course defeating Ultron is of paramount importance, but each Avenger is preoccupied with saving every single human bystander, frequently to the point of distraction. And, in one case, to the point of death. “Our priority is getting them out!” Captain America (Chris Evans) demands, and when a resurrected Helicarrier shows up to assist the team, it’s principally used as a large-scale life raft for the bewildered masses. Members of S.H.I.E.L.D. 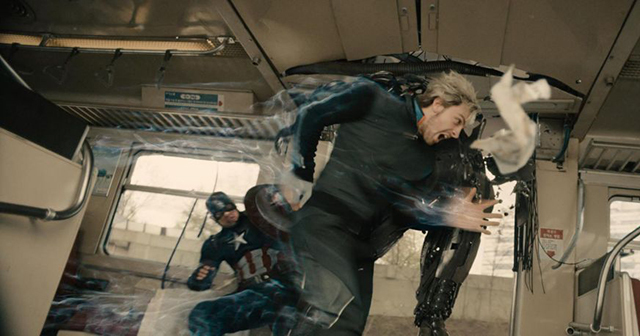 and Avengers alike spend great bits of prime battle time assuring the safety of scads of random humans. That’s the mission, to save humanity, even on a small scale. This is not Metropolis, and the Avengers are not Superman. When is the battle over? 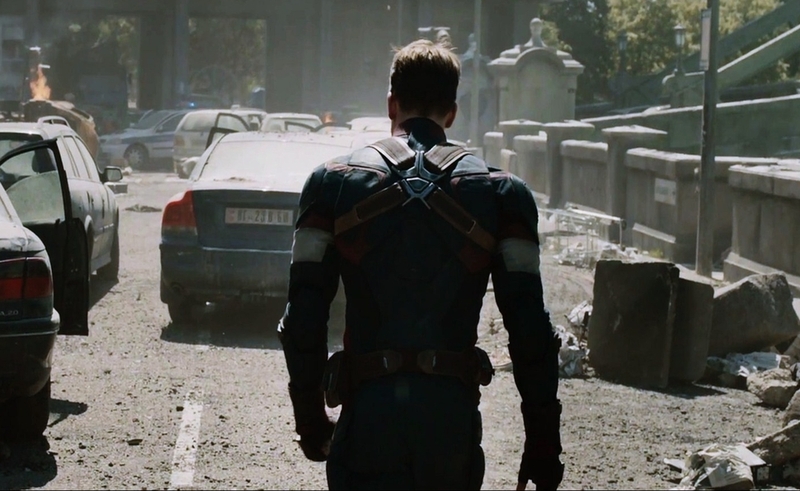 “Not till everyone’s safe,” Cap says, stalwart and determined, and we believe him, because this time, it’s actually true. “The world has been so caught up with what he can do, that no one has asked what he should do,” a faceless voice tells us in the latest trailer for Batman V Superman: Dawn Of Justice (one that sounds suspiciously like Holly Hunter, who is simply credited in the film as “U.S. Senator”). The clip then piles on talking-head sentiments that center on the unreliability of Superman in a post-Battle Of Metropolis world. It’s these kind of statements that appear to directly drive Batman (Ben Affleck) to battle Earth’s newest hero, one who failed his last great test. Batman V Superman, much like Man Of Steel, looks like a film about specially gifted heroes who, despite a believable desire to save humanity, only do worse by it. There’s little doubt that the next DC film will feature large-scale battle scenes between Supes and Batman, the kind that will level cities all over again, the kind that will hurt people and ruin lives. The kind that make heroes into killers, saviors into something to be feared. The kind where no one is safe.